Luxury cruise line Regent Seven Seas Cruises has announced free Wi-Fi for all guests as it launches its 2016-2017 Winter Collection. 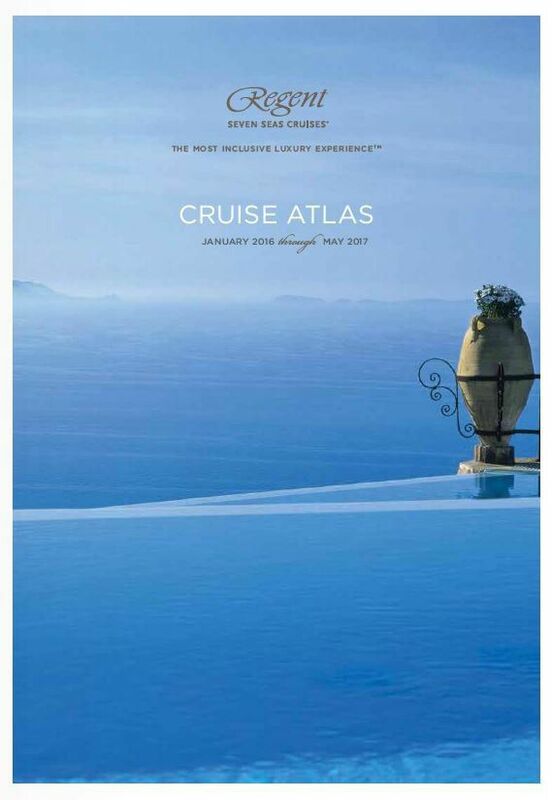 Every itinerary featured in the new brochure includes FREE Unlimited WIFI for all suite categories. The free internet access is available for the duration of the cruise and is accessible in all public spaces and suites via the ship-wide WiFi system. Regent’s award-winning, all-suite ships will sail 56 itineraries across the Mediterranean, the Caribbean, Asia and the Pacific, Canada and New England, Africa and Alaska, as well as 16 Grand Voyages and one World Cruise, which departs in January 2017. Select voyages feature FREE 3-Night Land Programmes for all suite categories and Seven Seas Society Savings of up to £1,900pp. 2017 is also Regent Seven Seas Cruises 25th Anniversary – to be celebrated on a special anniversary voyage on Seven Seas Explorer - details to be announced. Voyage fares include FREE Flights, FREE Unlimited Shore Excursions, FREE WiFi Internet Access, FREE Unlimited Beverages Including Fine Wines and Premium Spirits, FREE Open Bars and Lounges Plus In-Suite Mini-Bar Replenished Daily, FREE Pre-Paid Gratuities, FREE Ground Transfers, FREE 24-Hour Room Service and NO Charge for Specialty Restaurants and much more.